When you think of Phoenix, Arizona, you probably think of authentic Mexican food, sunshine, and desert landscape. For the most part, you would be correct. Phoenix gets more sunny days than many other parts of the country, and it is known for being home to the best Mexican food this side of the border. Phoenix is more than just good food and nice weather. What really makes people want to pack their bags? A booming job market and a low cost of living is enough to entice anyone to give the Valley of the Sun a chance. On top of that, you get the opportunity to learn about the rich history and culture of the area at the many museums. If you have made the decision to move to Phoenix or the surrounding area, then all that there is left to do is make the appropriate arrangements. Moving can be a challenge. This is why we, at National Dispatch, offer car shipping services that are fast, safe, and easy. Not only will you not have to worry about driving long distance, but you can start relaxing, sooner. We rely on our car to get us from place to place. At National Dispatch, we understand how much your car means to you. When moving to a new city or state, you want to ensure that your vehicle reaches its destination safely. With our team of knowledgeable and trained experts, you will never have to worry. Here is a list of a few scenarios when you might need to ship your car. College marks a new beginning. When venturing off to college, it is important that the student has a reliable form of transportation and that the parent knows that they will be safe. One way to comfort those worrying parents is to ship your car to college. This eliminates the need for long-distance driving, which presents many hazards. Some individuals, often termed snowbirds, have a second home in another state. When the weather gets cold, they move to their second home in a warmer climate. Some popular states include Florida, Texas, and even Arizona. National Dispatch helps snowbirds with their seasonal moves by safely shipping their vehicles. Moving for a job is one of the most common reasons people relocate. Car shipping saves you the hassle of having to do the driving, yourself. If your reason for moving is career-related, check out our Corporate Relocation Guide. Today, online shopping expands into the automotive industry. People may purchase a vehicle by participating in online bidding sites. Auto shipping comes in handy when it comes time to get the car home safely. If you are intending on making an online car purchase, let National Dispatch handle the transport. Phoenix makes a great city for an extended vacation, seasonal move, or permanent home to set down roots. The city attracts a wide range of people, from young graduates to retirees. You will find that Phoenix caters to a wide array of interests. Before moving to the area, here are a few things that you might want to know. The weather in Phoenix is something that new residents must become accustomed to. Winter temperatures are typically between 50 and 60 degrees. The spring brings temperatures in the 70s with cactus and wildflower blooms. The summer can be extremely hot with temperatures into the triple digits, and monsoon rains are not out of the ordinary. 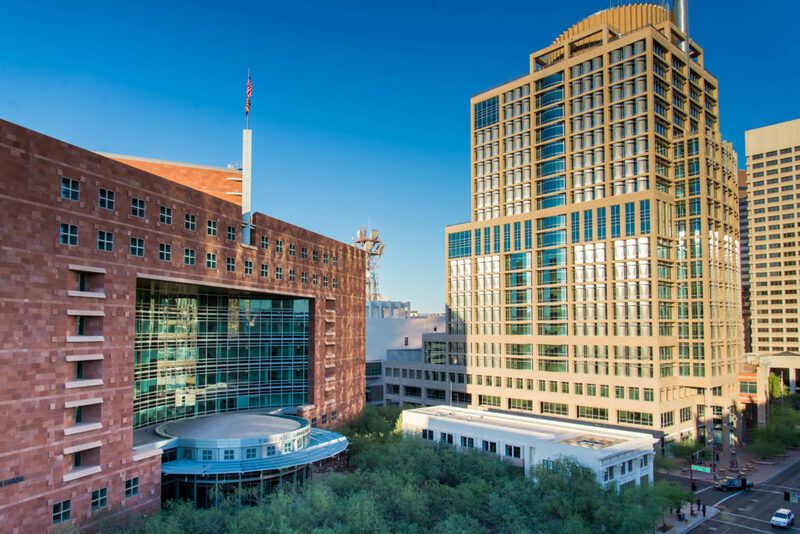 In Phoenix, there are a multitude of job opportunities in a variety of industries with finance and healthcare leading the way. Wells Fargo, Bank of America, American Express, and JP Morgan are all major employers in the area. When getting to and from work, you will want your car. With a commute time of less than thirty minutes on average, you won’t have to worry about being stuck in traffic for long. There are other forms of transportation in the city, as well. Phoenix is easily accessible by bus and train. The Phoenix Sky Harbor Airport offers both domestic and international flights, and millions of individuals fly through the airport each year. There are hundreds of public and private school options in the Phoenix area. As we mentioned before, young graduates are attracted to the city because of the eight colleges and universities that reside here. To name a few, there are Grand Canyon University, Phoenix College, and Arizona State University. Residents and visitors can find plenty to do in Phoenix. The area is great for art lovers, history buffs, outdoor enthusiasts, and more. Here are a few of the most popular attractions. Desert Botanical Garden – This is fun for the whole family. The garden even features days where you can bring your four-legged friend. Learn more about the desert and its plants by traveling the garden’s many trails. South Mountain Park – Travel by foot or by car through one of the largest urban parks in North America. The trails are great for hiking, biking, and horseback riding. Heard Museum – Learn more about Native American art and culture. There is also a large collection on Southwestern art. National Dispatch is a nationwide auto transport company. We make it our mission to ship cars, safely and quickly, without incident. We are capable of transporting a wide variety of cars. From the standard car, van, truck, SUV, and motorcycle to classic and exotic models, we can ship it all. Our customers come to us for our knowledge and expertise of the industry, along with our competitive car transport rates. Request a car shipping quote today. Simply, use our online quote form to fill out four fields of information. No personal information is required to get a free, instant car shipping quote. You can also call us at 800-321-2051 to speak with an auto transport representative.